A generic anger management workshop designed to address the impact of anger directed towards the professional from both service users and work colleagues. 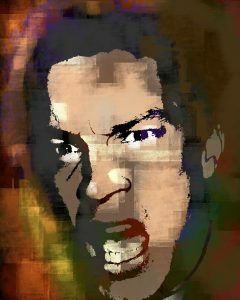 Anger of itself is a natural emotion which motivates people to deal with perceived and “real” injustices in their lives. Patterns of “unhealthy” anger expression can damage relationships within and outside of the workplace and can reach dangerous levels if not addressed. During this one day workshop participants are taught how to manage their own anger as well as that of service users, to recognise what triggers anger generically and how to address those in danger of escalating from anger to violence. Anger is often a final attempt at communicating and the course will emphasise the importance of effectively communicating feelings to others before a situation escalates and how to diffuse situations of escalating anger/violence. Increased awareness increases subsequent choices and behavior and the workshop will be of help and support in both the workplace and home environments. There is no requirement of previous training or experience. Participants will gain a greater understanding of their own boundaries concerning anger directed at them and anger arising within them. In addition, each participant will be equipped with an “anger management toolbox”, enabling them to address angry people with greater ease.